Adding sophisticated glamour to the table, this set of Polka bowls feature gleaming hand-applied elegant metallic lustres. A simple, contemporary silhouette, these dishes cater to hors d'oeuvres making them the perfect glitzy addition to a dinner or cocktail party. 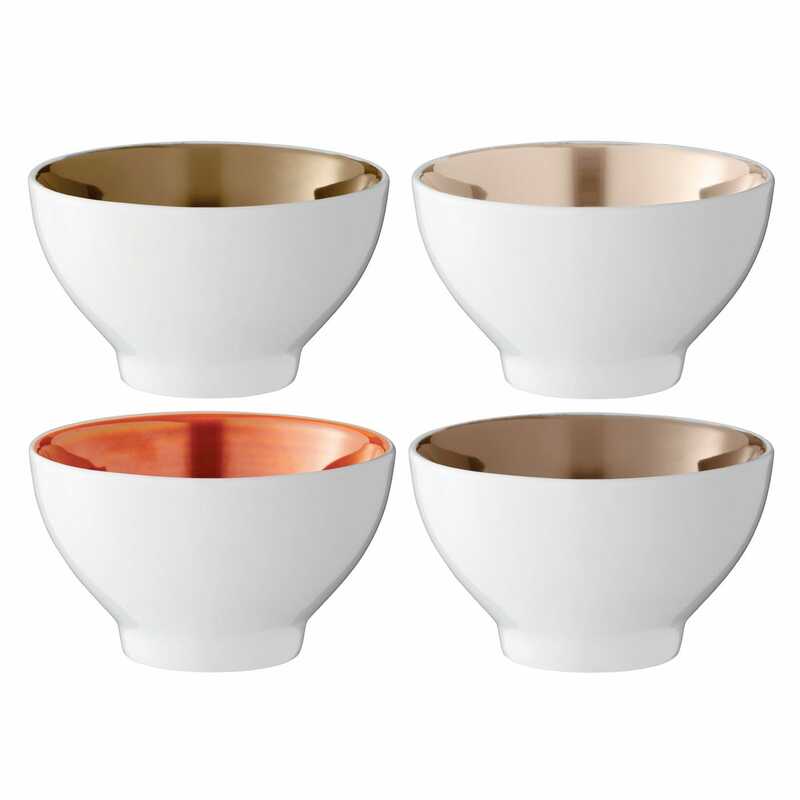 Simple bowls with an elegantly finished inside. Another beautiful design from LSA. They were a wedding present and my friend loves them.